In a less than obvious move earlier this week, SAP launched a ride-sharing app called TwoGo. Why less than obvious? Well, ride-sharing is generally perceived as more of a consumer focused activity, than an enterprise one. And SAP is very much an Enterprise software company. 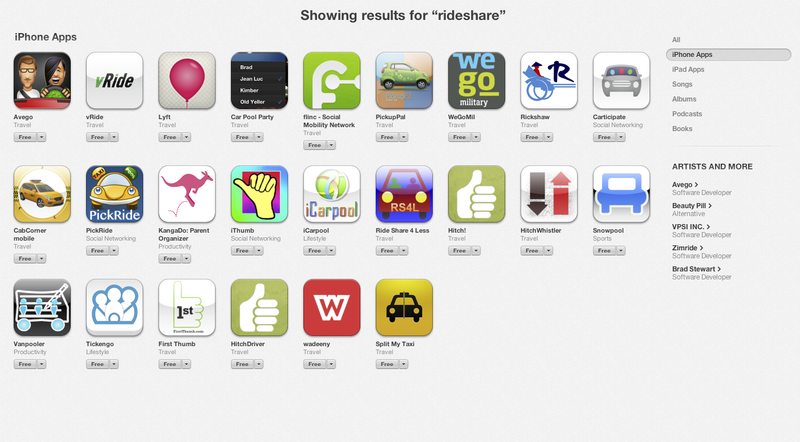 A quick search for ride-share iPhone apps, for example returns 24 results, all of which are consumer software plays. TwoGo is more than just a smartphone app though (it is available on most mobile platforms), TwoGo customers can also access it through its website, via email, via any iCal enabled calendar application, and even via SMS. It is a single instance, multi-tenant cloud application. This is important because it means for any organisations deploying TwoGo, set-up on SAP’s side simply involves adding the organisations email domain to the customer table. Then employees are immediately enabled to create a TwoGo account by signing up with their work email address. Also, because it is single-instance and multi-tenant, smaller companies can sign up and benefit from sharing rides with employees of other companies in the area who are also TwoGo subscribers. And because TwoGo works with email, and iCal already, integration issues are minimal. Why would an organisation want to deploy a ride-sharing app, you ask? if companies are subsidising travel for employees, ride-sharing reduces the number of trips taken by employees, thereby contributing directly to the organisation’s bottom line. For organisations with vehicle fleets, this also reduces wear and tear, service and maintenance costs for vehicles. Then there’s the issue of having to provide car parking spaces for employees – this is expensive and a poor use of the space. Reducing the number of cars coming to work, de-facto reduces the amount of car parking spaces an organisation needs to provide. And, obviously, ride-sharing will also reduce the organisation’s greenhouse gas emissions. 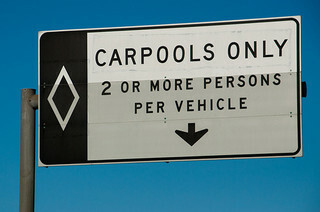 What about employees though – what benefits can they get from ride-sharing? Also, according to the US Census Bureau, nearly 600,000 Americans have “mega-commutes” of at least 90 minutes and 50 miles each way to work. A significant number of those would benefit from ride-sharing because of reduced costs (fuel and automobile wear and tear) and also to share the driving load. Driving, especially in heavy traffic, is frustrating. Then there’s the social benefits of meeting new people, making new friends and learning more about other job functions in your organisation. TwoGo, although just now being released, has been in operation at SAP for 2 years now. It is at release number 4.5, so this is already a mature product. SAP themselves report that TwoGo has generated more than $5 million in value, reduced greenhouse gas emissions by eliminating 400,000 miles of driving, and matched employees into carpools more than 36,000 times, creating 2,200 additional days of networking time among employees. The app is highly configurable and has clever algorithms which only offer a user a ride to work, if it can also offer him/her a ride home that evening, as well. And obviously, the app has block lists to ensure you are not repeatedly offered lifts with someone you’d rather avoid. Given all the benefits of TwoGo, we have to wonder why other enterprise software vendors haven’t come up with a similar product before now. Or have they? Does TwoGo have an enterprise competitor we’re not aware of?